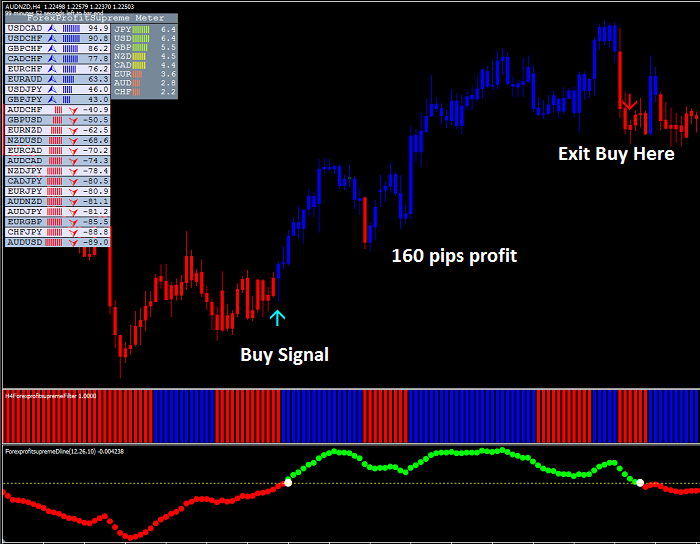 This Forex Trading System Will Let You Monitor Each Currency Strenght Which Will Keep You Away From Sideways Market As Most Of The Trades End With Loss Due To Entries To Trendless Market.. Example above is GBP/CHF Hour timeframe, ForexProfitSupreme Meter indicates GBP currency pressure so as confirms buy signal. 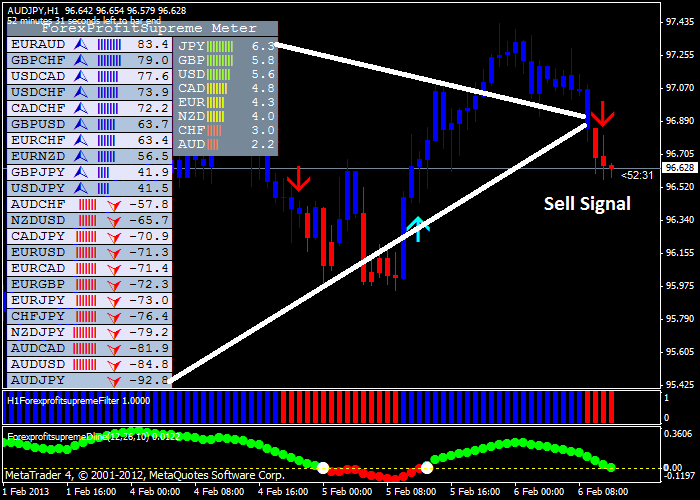 Example above is EUR/JPY Hour timeframe, short trade confirmed by indicators. 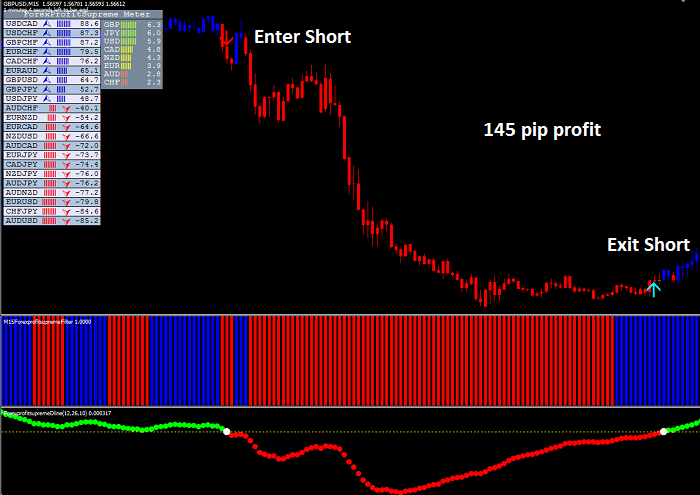 Example above is EUR/AUD Hour timeframe, long trade which moved to profit instantly. 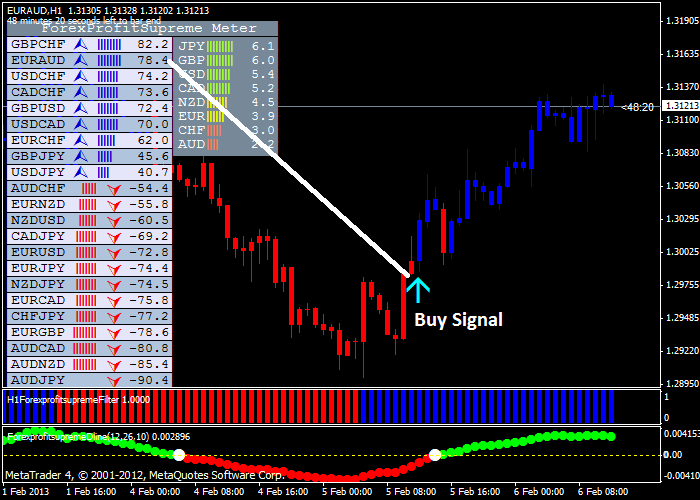 Example above is USD/CHF Hour timeframe, Long trade signal. 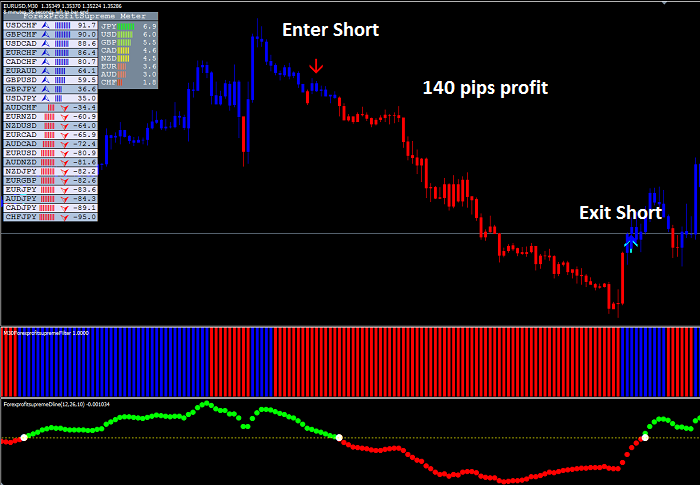 Example above is EUR/USD 30min, short trade which ended with 140 pips profit. Example above is GBP/USD 15min, short trade which ended with 145 pips profit. Example above is AUD/NZD 4h timeframe, short trade which ended with 160 pips profit. You Have Full Control – there is no ‘automation’ or trading ‘for you’. You quickly learn to spot trend direction mainly with a help of ForexProfitSupreme Meter which calculates different currencies current strenght. Bulls or Bear Markets, BOTH can Make You Money – you don’t have to care!